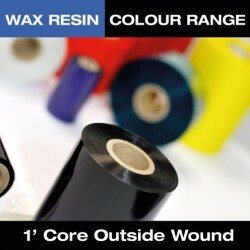 Coloured Wax Resin. 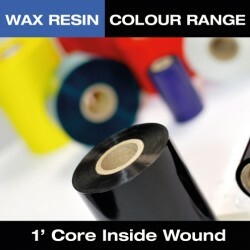 Ideal for printing on Semi-Gloss Paper / Tag /Ticket Stock and most Synthetics. Ribbon gives good level of smudge, scratch and heat resistance. Excellent printing quality for all types of barcodes, very small text, large characters and logos.